The Joseph Gillott range of drawing and mapping nibs are ideal for sketching, drawing and Copperplate. 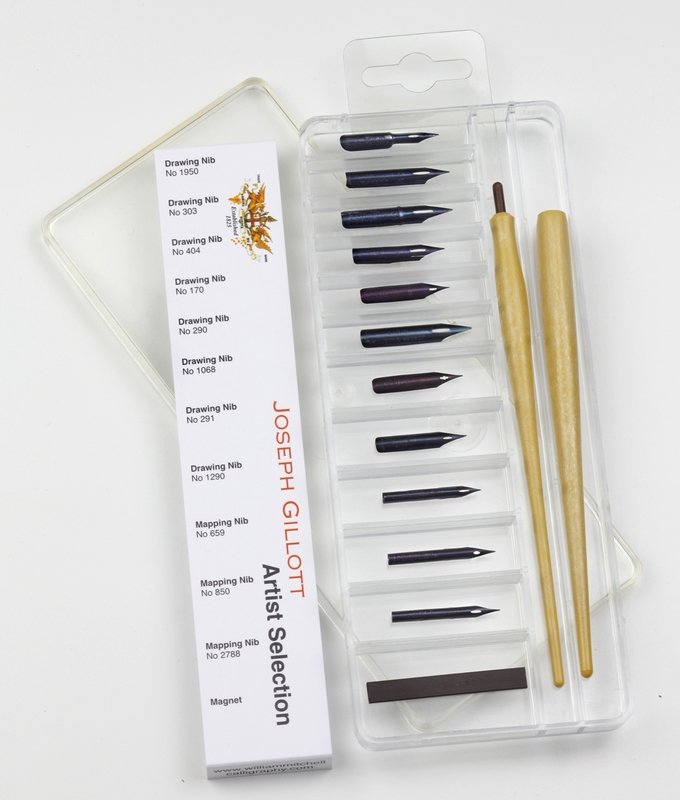 This box set of 11 nibs includes one Mapping and one Drawing pen holder and a magnet. The nibs included in the set are 8 Drawing Nibs sizes 1950, 303, 404,170, 290, 1068, 291 and 1290, and 3 Mapping Nibs sizes 659, 850 and 2788.